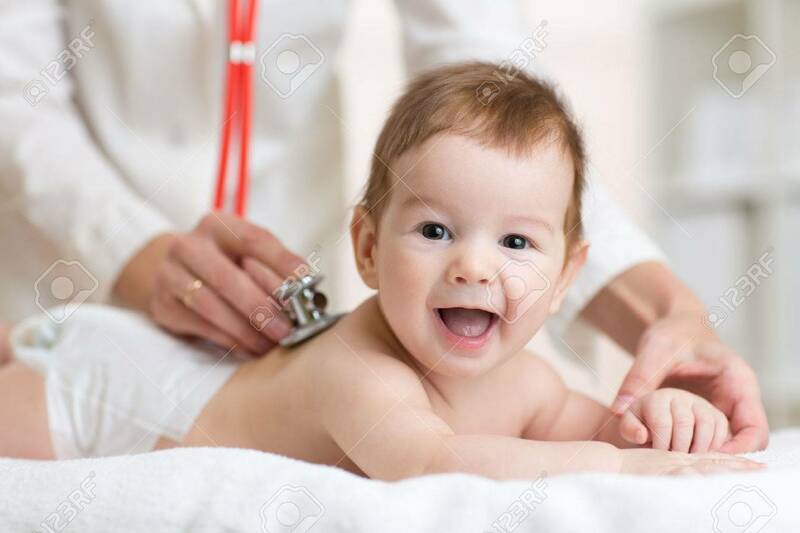 Pediatrician Doctor Examines Baby Boy With Stethoscope Checking Heart Beat. Royalty Free Fotografie A Reklamní Fotografie. Image 48204873. Reklamní fotografie - Pediatrician doctor examines baby boy with stethoscope checking heart beat.